Now with a massive 12.5 year warranty – Australia’s best and longest warranty. SOFARSOLAR (est 2012) is one of the subsidiaries of SOFAR Group in China and specializes in R&D, production, sales and service of grid-tied inverters ranging from 1kW to 7.5kW (residential), 10kW to 70kW (commercial), and other related renewable products. 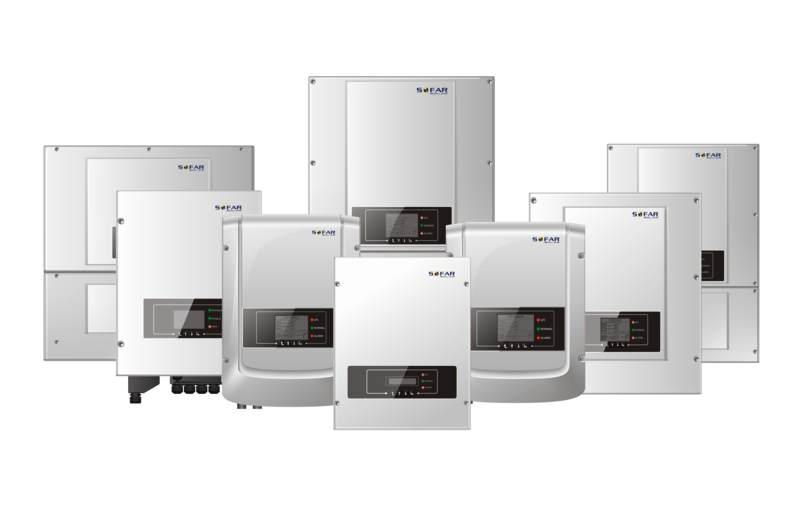 SOFARSOLAR inverters have been installed in 40+ countries (e.g. Australia, the UK, Germany, Italy, Belgium, Spain, Netherlands, France, China etc.) with currently 4 own subsidiaries in Australia, Wuxi, Beijing, Shenzhen and Henan. 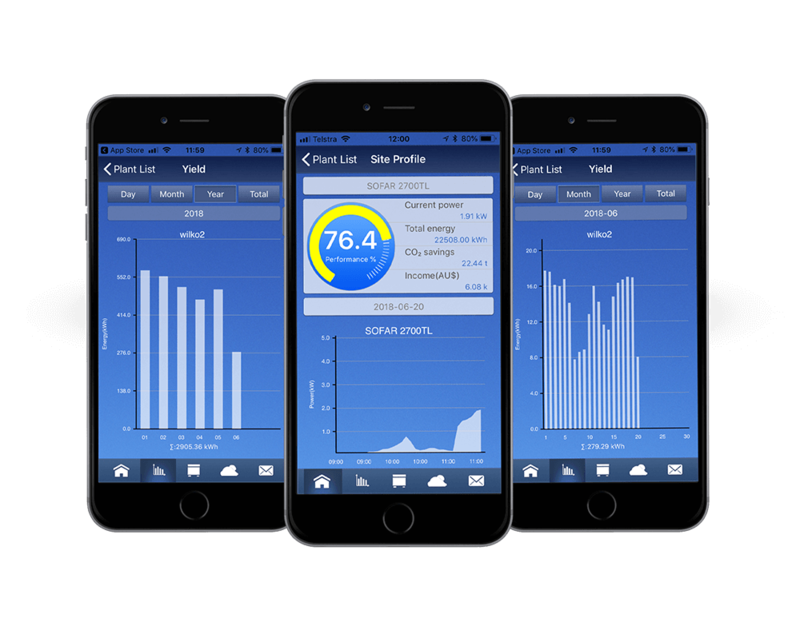 SolarMAN App is available on iPhones and smartphones with Android operating system, enabling mobile monitoring of your PV systems easier and quicker. Both real-time and historical data can be displayed with transparent graphs and in daily, monthly, annual and overall format. Besides power and yield, data such as CO2 savings, weather condition, and sensor information can be displayed as well. SolarMAN App can support both remote and local mode. With remote mode, you can view all data as same as SolarMAN Portal; and with local mode, you can get direct access to the web server of SolarMAN monitoring device via WiFi and check the performance of your PV system.